Spout Inserting & Sealing Machine(HCI-L1) - HCI Converting Equipment Co., Ltd. Suitable for sealing an additional spout on various multi-layer bags. Equipped with bag corner cutter, the primary operation before spout inserted. 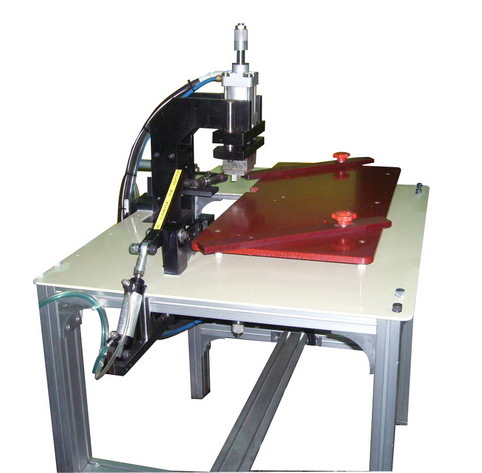 Spout auto inserting device makes the positioning ease and fast. PID temperature controllers provide the most accurate and fastest heating performance. Spout sealing mould is controlled by pneumatic, the sealing pressure is adjustable. Constant sealing time controller ensures each spout sealing quality without leakage. Food switch control units ease to operate and increase the work efficiency.